Would you like to achieve an excellent online accredited UK qualification, which will demonstrate a high level of skill and knowledge? Look no further than this fantastic Customer Service Level 3 online course. 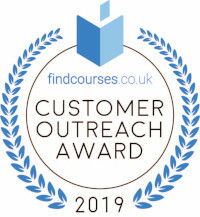 This excellent Customer Service Level 3 accredited online course has been created to give learners a thorough understanding and appreciation of the necessity for outstanding customer service within companies. Learners will come away from this Customer Service Level 3 accredited online course with an understanding of customer service and legislation, and extensive knowledge of customer communication in business. Successful learners will be awarded a Customer Service Level 3 certificate. Fill out your details to find out more about Diploma in Customer Service – Level 3.